Our organization services over 3,700 customers in Ontario and Western Canada. With three laboratory locations and one office, the majority of our DHI team is located in the field close to our customers. We strive to provide dairy producers with innovative herd management products and services that will maximize their productivity and profitability. We offer a wide range of services including milk recording, electronic registration assistance, herd management software sales and support, health testing and diagnostics, and specialized testing. CanWest DHI operates in a diverse and rapidly evolving dairy industry. We offer a stimulating work environment that supports the development of progressive and innovative management tools. 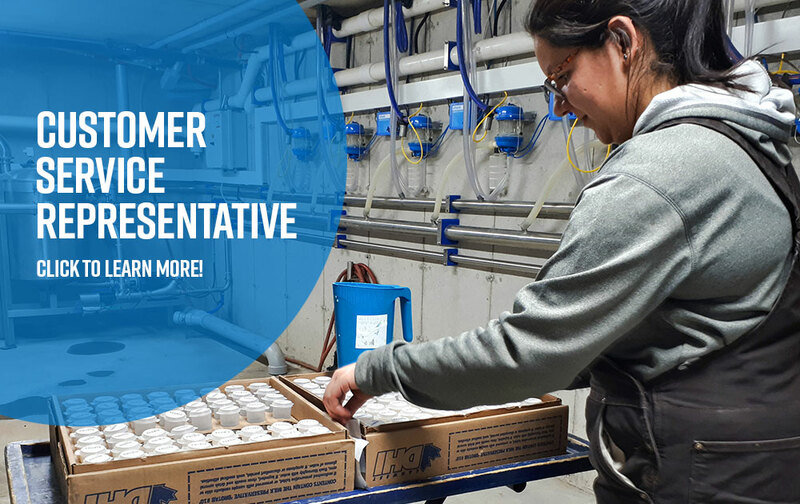 We look for candidates that are dedicated, share our values, and contribute positively to the DHI team. CanWest DHI is committed to setting new employees up for success. New employees participate in a challenging, yet fun and informative orientation program that covers most areas of our business. CanWest DHI understands the importance in providing a safe and healthy workplace. We offer an employee assistance program through an outside firm that provides voluntary and confidential counselling services. Our roles are varied, including administration, research, scientific lab, technical programs, sales and support. Our CSR role offers flexibility with on-farm milk testing while working directly with farmers. All of our team works to support dairy herd improvement. CanWest DHI proudly provides employees with competitive compensation and an exceptional benefits program to eligible employees. We also offer a CanWest DHI Employee Pension Plan. As an accessible and team-oriented organization, employees are encouraged to participate in our organizations’ success by providing feedback and offer their opinions. CanWest DHI encourages applications from all qualified candidates. We are an equal opportunity employer. Please contact Human Resources if you require accommodation at any stage of the application process. Please paste your cover letter and resumé into your email (no attachments) and include the Job Title and Location in your email subject line.